Handel Architects is designing a new residential tower to NoMad at 15 East 30th Street, aka 126 Madison Avenue, which is currently the 25th tallest skyscraper under construction in the Five Boroughs. It sits to the north of 11 East 29th Street, aka Sky House, which is considered to be the first slender residential tower in New York City. 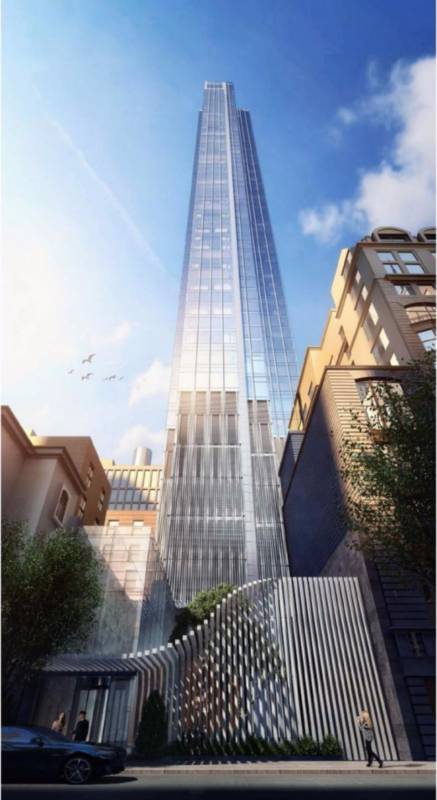 Handel’s 51-story, 756-foot-tall building also features a slender profile as viewed from both north and south perspectives. 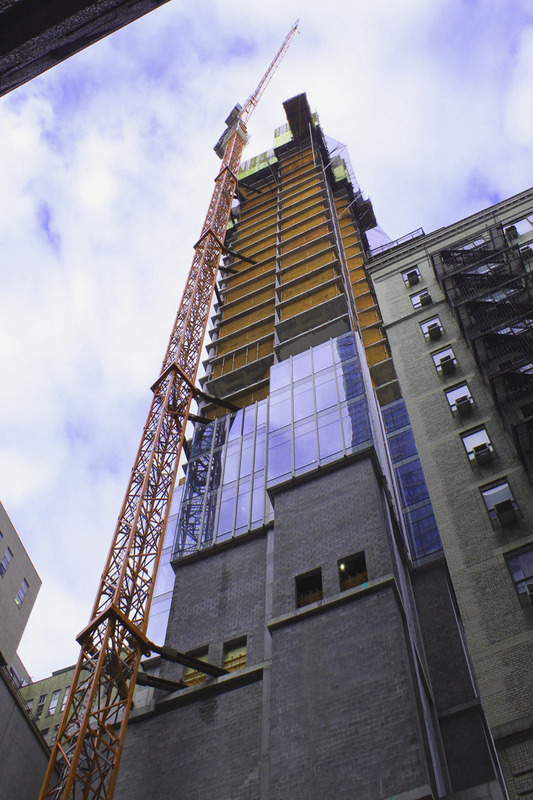 Recent photos show the facade rising several floors above street level as the superstructure begins to peak above the surrounding urban fabric. Fosun Group and JD Carlisle are the developers of the project. The best view to see the top of the tower is on Madison Avenue looking above the American Academy of Dramatic Arts’ colonial-designed roof. Stretching from East 30th Street to East 31st Street, the site will also have a storefront that reaches the corner of Madison Avenue and East 31 Street, enclosed in a swooping canopy of metal beams and glass panels. 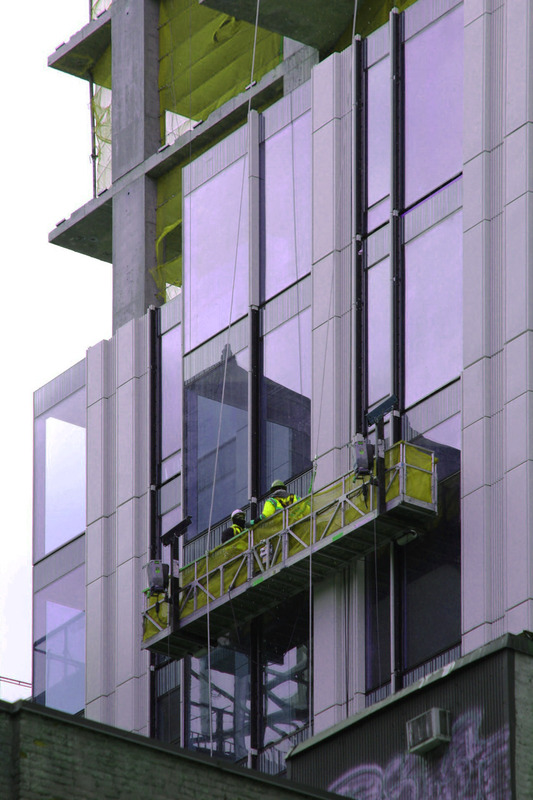 A closer look at the facade shows a mixture of glass panels, operable windows, and thin white vertical mullions that stick out from the glass surface and run the full height of the skyscraper. Unfortunately the consistently cloudy weather as of late has been somewhat of an impediment to capturing the full glory of the exterior, however, at some point it should be sunny enough again for a better look. 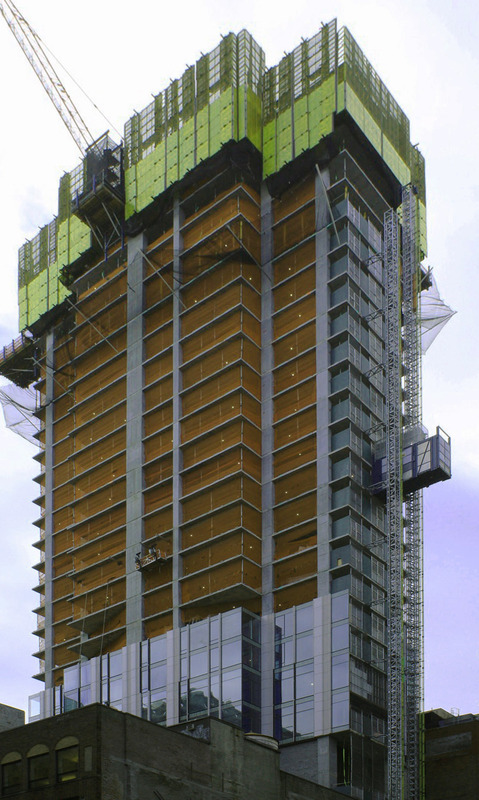 The top of the building will be capped by a crown made with multiple sloped panels, angled downwards to the north. 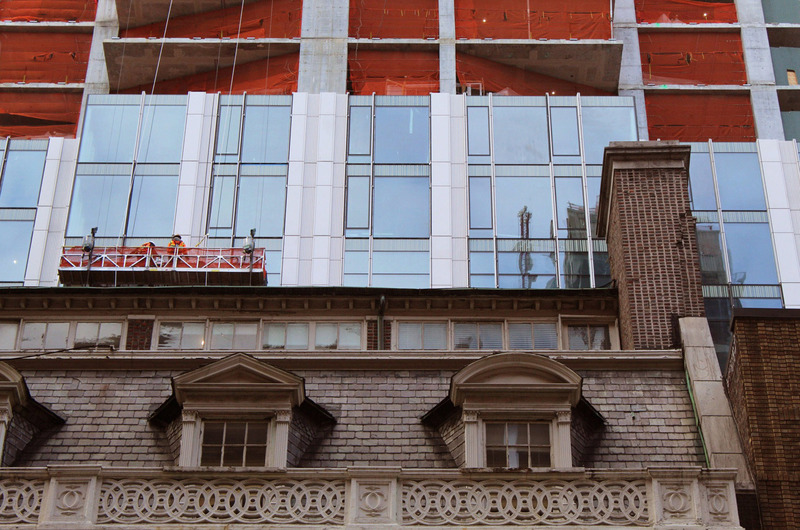 This gives a distinct silhouette feature for 15 East 30th Street when looking east and west. It is possible that the upper floors of the crown could be illuminated at night. From the top, there will be uninterrupted views of Lower Manhattan beyond the tall and thin skyscrapers of the Flatiron District, south of Madison Square Park. 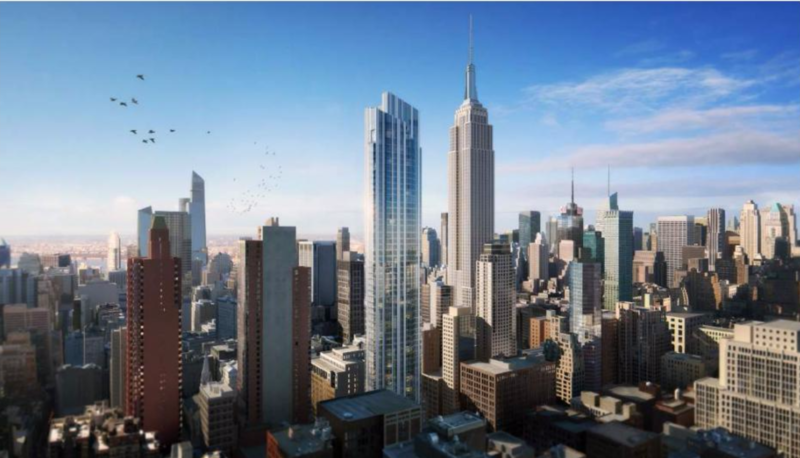 Standing on the upper residential floors looking north, residents of 15 East 30th Street will have corner views of the Empire State Building and Midtown East, looking up Madison Avenue. Views of the East River would also be easily seen above Kips Bay. 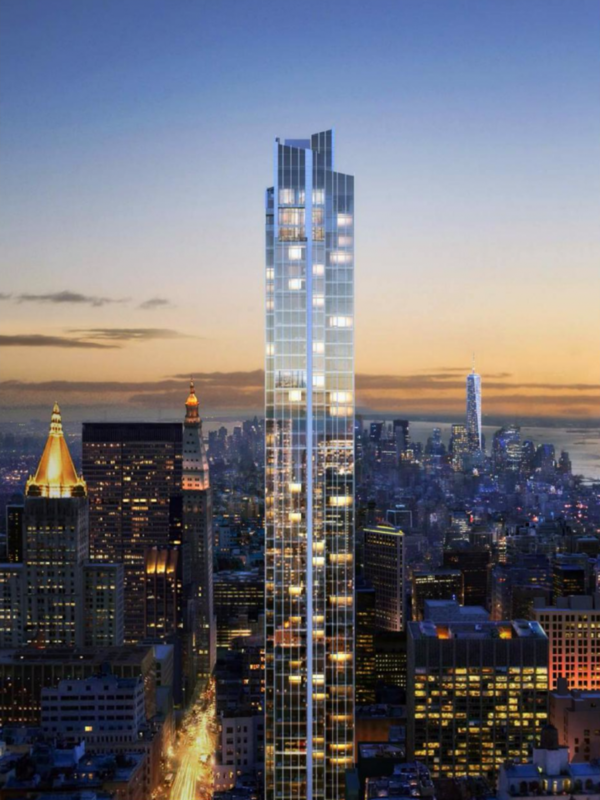 126 Madison Avenue is expected to be complete sometime in 2020. 5 Comments on "756-Foot-Tall & 51-Story 126 Madison Avenue Begins to Get Its Facade in NoMad"
The architecture of New York is a mosaic of all styles. Sunlight Cleaning thinks the unique modern architecture of New York. Looks like the millennium tower in Boston in that last shot. Does current zoning and loopholes allow 1000+ foot towers continuously from Downtown to Midtown? Slowly, taller towers are encroaching upon the ESB’s solitary perch on the midtown skyline. I see the day when it will become obscure just as the lower Manhattan towers of the 1930s have been.